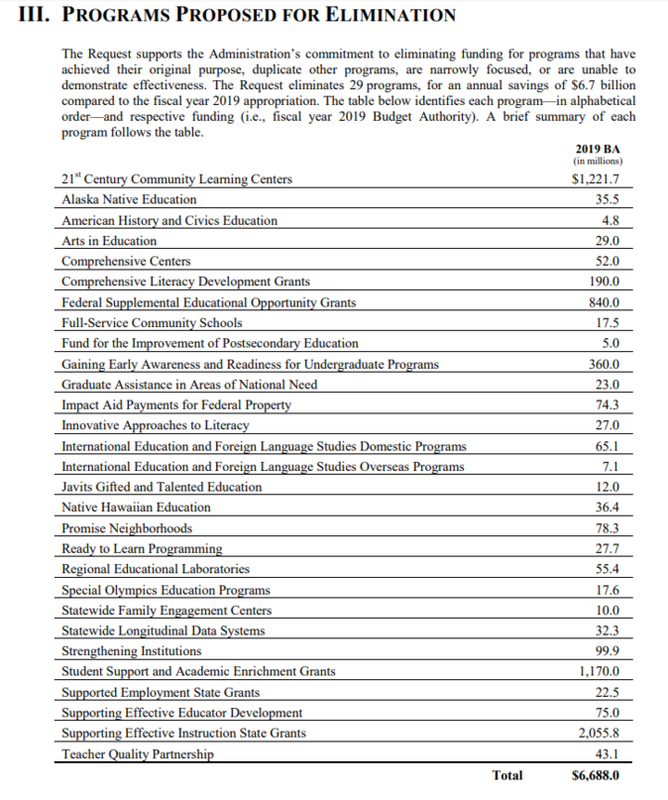 The three largest programs facing elimination are Title II teacher development grants ($2.1 billion), Title IV grants for academic enrichment ($1.2 billion), and after-school aid ($1.2 billion). Combined, these cuts would cut federal funding by nearly $119 million in North Carolina. The elimination of Title IV funding would leave North Carolina schools without any dedicated funding for professional development. The General Assembly already eliminated state funding for professional development in 2011, despite evidence that professional development positively impacts teacher retention and student achievement. Similarly, the elimination of federal funding for after-school programs would have detrimental impacts on children. Students attending after-school programs demonstrate improved school attendance, behavior, and achievement. The budget proposal also includes a $5 billion federal tax credit for contributions to private-school scholarships. The proposal would further drain resources from public schools and subsidize discrimination on the basis of religion and sexual identity. It would also lead students to transfer to low-quality private schools with dismal results. It remains to be seen whether Trump’s proposal will gain any traction in Congress. But his detrimental, anti-school priorities have become far too familiar to those of us in North Carolina.